Hi Everyone! Just thought I’d show off my cool outfit. 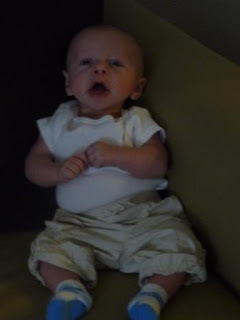 My cargo pants convert to cargo shorts….the pockets are helpful just in case I need to stash my pacifier, or a few quarters for the soda machine. 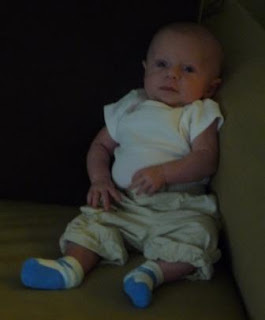 Mommy and Baubee picked these pants out before I was even born. Guess I’m destined to be a Gap Baby after all!